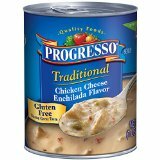 Progresso Traditional Soup, Chicken Tuscany, 19-Ounce Cans (Pack..
iT'S A GREAT SOUP. AND SO NICE TO ORDER IT BY THE CASE BECAUSE IT'S NOT ALWAYS EASY TO FINE IN THE SUPERMARKET. 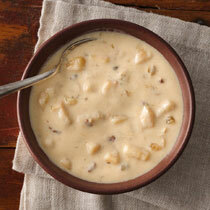 ONE OF PROGRESSO'S VERY BEST. 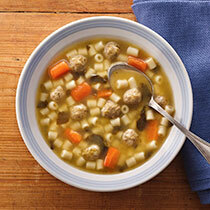 Progresso Traditional Soup, Albondigas Meatball and Rice, 18.5-O..
a dash of onion powder. 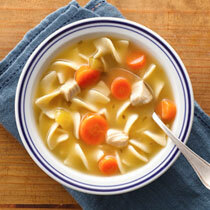 Progresso Traditional Soup, Chicken and Orzo with Lemon, 18.5-Ou.. I have been looking for this soup in Houston TX for a while. I first tried it a few years ago out of Wal-Mart. Then I guess it didn't sale well for them because they stop selling it. 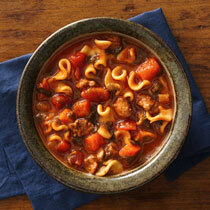 I tried special ordering it at Wal-Mart and from Progresso. I no good luck. But I worte the company and they told me that I could special order it through Amazon. I've been a happy campier ever since. If you can find this soup in your area please try. It's soooooooooooo good!